Looking for Bedside Pocket Sheet Set - Supersoft Gray in Full, Queen, or King Sizes? When it comes to your Twin XL dorm bedding, you don't want to settle. It's important that your Twin XL sheets are comfortable, but did you ever consider that they could be functional as well? 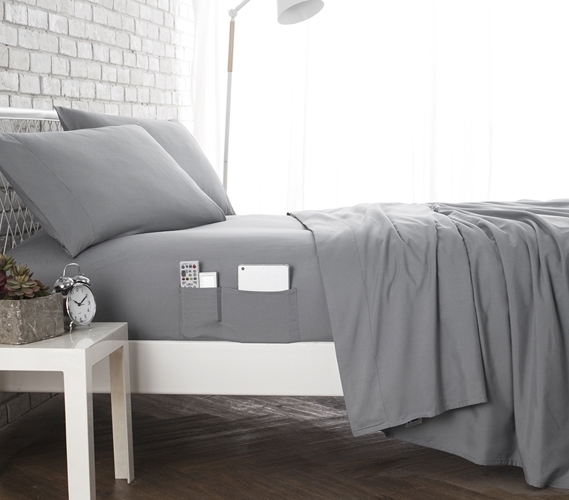 The Bedside Pocket Twin XL Sheet Set includes two different sized pockets on either side of your dorm room bed. These pockets can hold your phone, your glasses, or even a small tablet - everything is within reach while lying in your Twin XL dorm room bed. Of course, you want your extra long twin sheet set to be comfortable, as well. The Bedside Pocket Twin XL Sheet Set is made with 90 GSM microfiber, to make sure your dorm bedding is as cozy as possible. A neutral gray color means that you can easily coordinate all of your dorm room decor, as well! 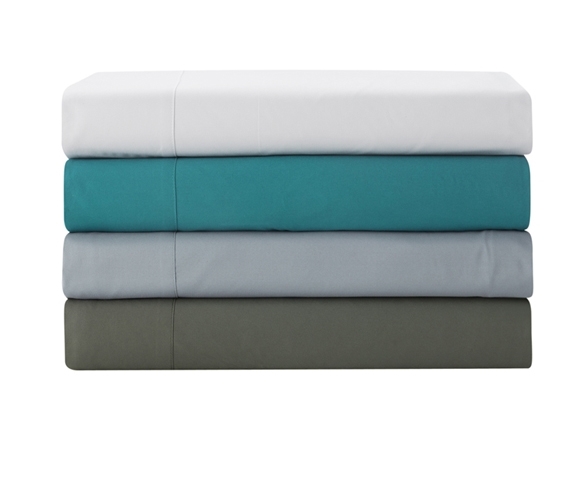 Made to fit Twin XL dorm room beds, this Twin XL sheet set comes with a fitted sheet, a flat sheet, and a pillowcase.